With the budget for the financial year 2019-2020 round the corner, leading tech companies are hopeful of a strong focus on emerging technologies such as analytics, hybrid cloud, IoT, mobility, smart city initiatives, while creating business opportunities across the spectrum. While last year was a turbulent year with GST implementation, they still believe that there is a lot to achieve in the field. We got in touch with industry stalwarts to see their expectations from the budget for this year. “Technology is disrupting every sector, be it retail, cement, e-commerce or media. Big Data is the oil that is fuelling advanced analytics and better decision making for business entities. 5G will be the next disruptive technology as it will help capture a lot more data at much faster speeds,” says Partho Dasgupta, CEO, BARC India. He says that government should enable quick penetration of this 5th gen technology in India. 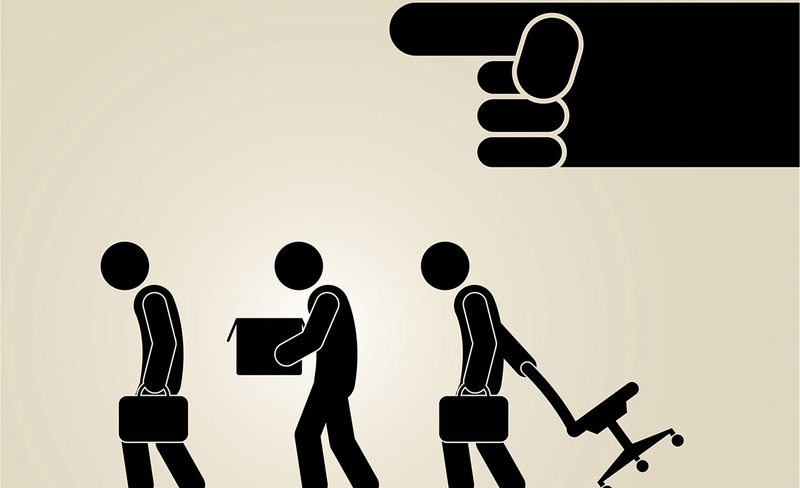 Analytics and AI industry have always faced challenges in terms of the hiring skilled employees. As there is a visible talent crunch for skilled people, re-skilling is one of the major requirements that the industry needs. With this budget, the industry stalwarts expect that there should be visible importance given to skilling. “With technology disrupting jobs across sectors, it is important to bridge the skilling gap,” says Nikhil Barshikar, Founder and MD at Imarticus Learning. He says that this year’s budget should focus on skill development as it will directly impact the economy for the better. “We strongly feel the need for allocating more funds towards specialisation i.e. Higher & Further Education, with the vision of enhancing the training and the research amenities for reskilling the workforce. Tax rebates and incentive schemes will encourage educational institutions to expand their operations in Tier 2 & 3 cities”, he adds. Partho Dasgupta, CEO, BARC India retaliates the same thoughts as he says the introduction of technology as a subject in school curriculum is vital to a tech-driven future, and government must drive investment towards skill development in the AI and Big Data analytics space. Sampreeth Reddy Samala, Founder and CEO, Worldview Education is of a view that for any education policy in India to make sense, it needs to address issues and provide solutions at a scale. “From that view, potentially game-changing tax reforms in the education space are still pending. Today, every and any educational idea which falls out of the traditional realm is taxed at par with some of the luxury products. This has to change to make investments into ‘innovative ideas in education’ attractive which is crucial to meet the larger & current needs of an aspiring country like India,” he said. The 2018 budget put a visible focus on technologies such as machine learning, IoT, AI, 3D printing etc. through planned investment in research, training and skill development. NITI Aayog made an effort to facilitate research in AI which further bolstered the efforts that have been underway towards the Digital India Vision. With government focusing on the digital transformation of education in India via initiatives such as SANKALP and SWAYAM, the technology sector has a lot of expectations from the upcoming Union Budget 2019–20. “AI and data analytics are changing the face of education with adaptive learning technology, which can help the K–12 learners in India get a quality education at low costs. AI-powered educational apps can also share teachers’ workload by helping them give individualised attention to students,” says Beas Dev Ralhan, CEO, NextEducation India Pvt. Ltd.
“One of the critical focus areas for the Government has been job creation and skill development. Much of this is going to happen on the back of technology. We expect this budget to provide a boost to emerging technologies like AI and Data Science which if taught well through proper skill development initiatives, hold immense potential for the creation of new jobs. The budget should recognise this opportunity and leverage it to tackle the challenge of job creation,” says Ishan Gupta, MD India, Udacity. Anupam Bhat, CFO & Co-founder, Goals101 says that in the last few years, Fintech has already begun transforming the financial services ecosystem in India and while the Government’s intent to provide an enabling environment is clear, the industry hopes for further ease in policy and processes. “As the hotbed of the next billion Internet users, Fintech companies would increasingly look at serving rural India. Increasing digital transactions penetration would require concerted awareness efforts and it is hoped that the budget would account for incentives to companies looking to invest in and grow this market. As data security and privacy becomes increasingly critical, it is expected that the Government, through the budget and other policy measures, would balance this against the commercial realities of viable operating in the Fintech space and thereby bring in valuable information and benefits for the consumers at large,” he said. The startup trend in India is on a spectacular growth path, however, despite Government bringing various regulations to promote the emerging business, entrepreneurs continue to face various challenges. “This time start-ups, SMEs and entrepreneurs are expecting this budget to abolish angel tax for Government recognised start-ups. This will unleash its own potential and will help Start-ups to grow by leaps and bounds. The early stage startups will also be nurtured with more investments,” said Surajit Das, Co-Founder and CEO, Routematic. Anupam Bhat shared similar views and mentioned that the broader issue for startup and unlisted companies is angel tax. “The interim budget would hopefully reconsider provisions of the Income Tax Act as applicable to investments in unlisted companies by investors. This shall provide much-needed relief to the startup space and promote innovation, which is one of the current requirements for the Indian economy,” he said. Unlike software products, R&D for electronic products and semiconductors require higher investments. Startups in AI, semiconductors primarily depend on Angel and self-funding. “We recommend the government to abolish the Angel Tax for ESDM startups and the government should create a seed fund of 1000 Crore which can be matched by industry and VCs to provide seed funding to build 1000 startups ESDM space,” says Rajesh Ram Mishra, President of IESA. He also added that government should enable R&D through provisioning separate budget to fund projects of national interest in the Electronics & Semiconductor domain and enable collaborative R&D among PSUs, Indian SMEs and start-ups. “On the startup fronts, while considering special aids/funding government should also reduce the corporate tax rate, which will not only help Indian companies to stay competitive but will also lead to an increase in entrepreneurship and employment,” says Siddharth Gupta. Given the massive interest in automation and AI, the number of start-ups coming up to address this space is also growing dramatically. “A lot of global private equity, angel investors and VCs are looking to invest in these start-ups. It would be useful to provide absolute clarity on Angel tax provisions to provide a further push for investments in this space. Similarly, given the geographical spread of operations on startups in the Analytics, AI and Automation space, the need for clarity on POEM and tax provisions will make the business function more efficiently,” says G S Venkatraman, Chief Financial Officer, Subex. Sangram Singh, CEO, Freecharge shares that in the near future, digital channels of engagement such as digital payments, money transfers, consumer lending will continue to grow. 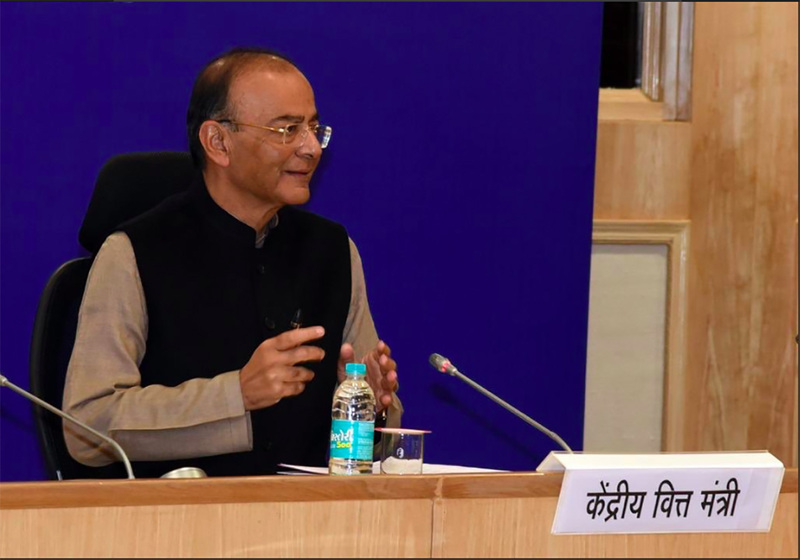 “To strengthen this growth, we hope the budget can encourage the upgradation of digital infrastructure and digital literacy – especially in small towns and rural India, which will help drive financial inclusion through digitisation. Some of the recent initiatives such as UPI 2.0 and tokenization provide a good opportunity for banks, e-wallets, and other players in the fintech sphere to promote digital adoption,” he said. He further added that the fintech players should continue to focus on innovation, adding smart offerings to provide relevant and personalised customer experiences and strengthening the digital payments ecosystem in the country. “From the 2019 budget, we are expecting more impetus to be provided to Open APIs, which will further innovation in sectors like the financial services industry, and Data Privacy and Protection, which will allow more people to embrace digitization safely,” says Saptorsi Hore, Chief Operating Officer, ThoughtWorks. “As skill development is key for the adoption and successful application of disruptive technologies – tax deductions for individuals and companies who are investing in training on emerging technologies will help in further the goals of Digital India,” he said. “In order to foster a culture of innovation and entrepreneurship in the country, the government should invest in initiatives by making digital resources and services easily available for all,” says Siddharth Gupta. “RBI has developed a framework for financial sector participants. A similar framework for Telecom and other sectors, would be able to leverage the information and make it available for interested end customers in a mutually beneficial commercial model, will go a long way to drive usage and adoption of high-end analytics in the country,” says GS Venkatraman, Chief Financial Officer, Subex. “Proof of concepts (PoCs) using Blockchain technology in areas like payment services, agriculture, financial exchanges, infrastructure, education, healthcare, among other sectors have been a great step forward to improve interoperability through digitisation and to enhance efficiency through the creation of trusted networks,” says Saptorsi Hore, Chief Operating Officer, ThoughtWorks. “The year 2018, brought multiple advancements in the technology services sector, with fast-growing use of digital payments, artificial intelligence, cloud and analytics. HR tech is evolving by the day and there is rapid advancement in various solutions that are very useful for the staffing industry. Allowances/cash-back credits for digital payments, tax sops for investments in HR tech, digital documentation and signatures, data security and privacy-related issues are expected to be the major highlights for the tech industry in the coming budget. There is a need of long term incentives in the budget to strengthen the nation’s digital infrastructure. In fact, government’s programs like Digital India, Make in India, and StartUp India, are expected to receive an increased allocation in the budget,” said Prahalad Chandrasekran, Director Shared Services, The Adecco Group India. While last year saw some interesting developments by the government in AI, analytics and related area, the industry is looking forward to the interim budget announcement to expect some key announcements in digital technologies and the Government continues to support innovative ventures, in order to make India a hub of technological advancements. “Emerging and innovative ventures can drastically transform the government sector, especially areas like law and order, policing etc. We believe that in order to foster innovation, the government would make it easier for the start-ups to participate in government projects and disrupt the status quo”, says Atul Rai, CEO and Co-founder of Staqu.